HANOI, July 22, 2010 (AFP) - The United States on Thursday announced a three-year programme to help countries in the Mekong River basin adapt to the impact of climate change on water resources, food security and livelihoods. 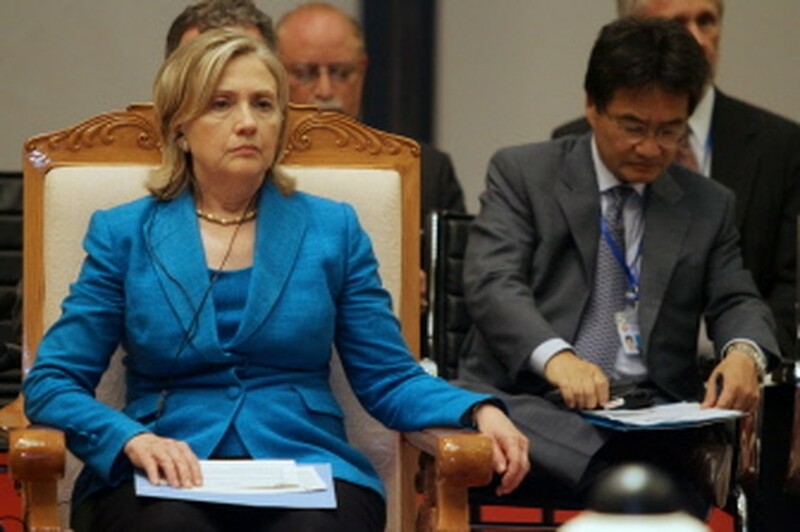 US Secretary of State Hillary Clinton made the pledge at a Hanoi meet with Southeast Asian countries of the lower Mekong region, whose waterway is also under threat from rapid economic development and expanding populations. "Managing this resource and defending it against threats like climate change and infectious disease is a transnational challenge," she told the foreign ministers of Cambodia, Laos, Thailand and Vietnam. "Regional cooperation is essential to meeting that challenge, to preserving the ecological diversity and fertility of the Mekong region." The meeting was the first between the five ministers since they launched the Lower Mekong Initiative (LMI) in Thailand a year ago to develop cooperation on environment, health, education and infrastructure issues in the Mekong region. The initiative was seen as an attempt by Washington to improve its profile in the region and counter the influence of China, which is home to the upper reaches of the Mekong. The United States has said it will spend more than 187 million dollars this year under the initiative, the majority of which is directed at health issues. Low-lying areas around the Mekong, which have been beset by drought this year, are considered some of the world's most vulnerable to climate change. More than 60 million people rely in some way on the river, which is the world's largest inland fishery. The intergovernmental Mekong River Commission has warned that the basin's health and the river's eco-systems could be threatened by proposed dams and expanding populations. China has eight planned or existing dams on the Mekong River, but rejects activists' claims that these have contributed to low water levels downstream. Japan also held a meeting with the Mekong countries in Hanoi on Wednesday to discuss a joint "Green Mekong" initiative for the next decade, which aims to tackle challenges such as natural disasters and deforestation.